The store was founded in 1973 by Bill Knight, a banker who specialized in the world of small business loans and financial operations. A passionate wine drinker with an affinity for Burgundy, Knight opened The Wine House as a hobby while he continued as vice president of investments for Security Pacific Bank and Bank of America. Wine, beer, and spirits were all that was sold at the store in the beginning, though as the business grew, so did Knight’s vision for it. The Wine House slowly began outgrowing its shared commercial space and eventually became the sole occupier of its building in West L.A., setting the store up for its commercial success today. 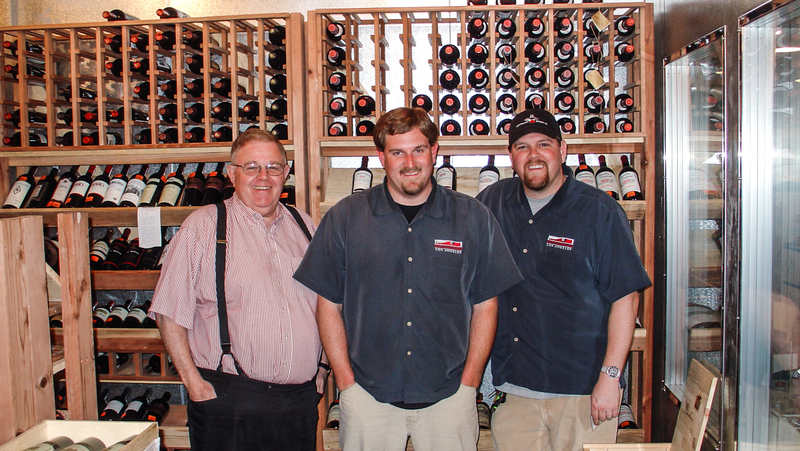 Bill, Jim, and Glen of The Wine House. Photo courtesy of The Wine House. The Wine House sells about 50,000 cases of wine, beer, and spirits a year across its retail and e-commerce channels. In-store sales account for approximately 70 percent of sales, with Internet sales representing around 25 percent. Events, tastings, and classes make up the remaining 5 percent. (About 10 percent of overall sales come from wine futures.) The Wine House also runs a restaurant and catering business out of an upstairs space—an entirely separate business. Last year, overall sales for the business grew about 10 percent from the previous year, according to Jim. In a competitive retail market, The Wine House has not only survived but thrived, thanks to its winning formula. Wine has always been the focus at The Wine House. 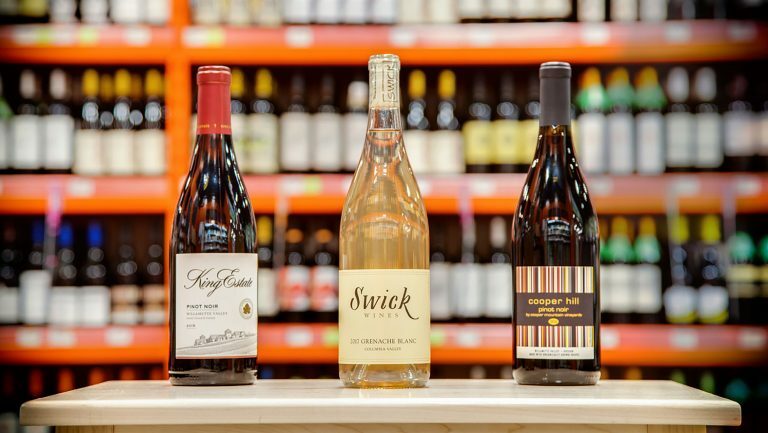 More than 6,000 domestic and imported wines are available at the store, making its offerings one of the broadest and most diverse collections in the country. In category distribution, 90 percent of the store’s business comes from alcohol sales—the majority of that percent of that from wine. However, the spirits category has been a strong driver of growth over the last decade, according to Lance Montalto, the store’s buyer of Italian wines. 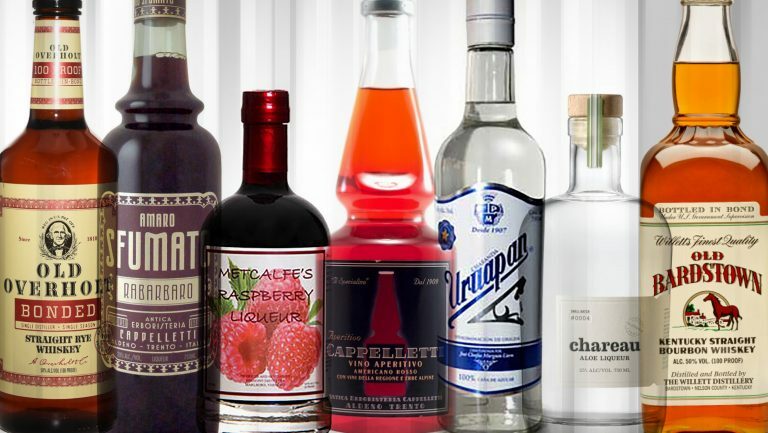 In addition to wine and spirits, the store carries a large selection of beer, bar accessories, and small gourmet items, including cheeses, olive oils, pasta, and sauces. The Wine House covers 18,000 square feet. Beer, wine, spirits, and gourmet foods occupy separate portions of the store. In the wine section, country generally comes first, followed by region, then perhaps a smaller appellation or categorical classification. Shelf talkers and promotional materials, created both in-house and out, assist in driving sales. The Wine House caters to a diverse clientele. “Our clients are the wine geek, the collector, and the everyday wine consumer,” says Jim Knight. “They [come from] both in state and out of state.” The store’s broad selection, of price range and products, makes it a solid go-to for a broad swath of consumers. The shop has also seen a rise in out-of-state sales from online purchasing through The Wine House’s e-commerce arm. Nathaniel Muñoz, the wine director at the beloved Rose Cafe in Venice, California, is also a fan. “If you are looking for it, they likely have it,” Muñoz says. “And if they don’t have it in stock, they are very accommodating and can have it for you within a day or so.” The shop’s location right off Interstate 405 is also convenient, he notes, making it accessible for an array of customers. Muñoz jokes that if he can’t get his hands on a bottle for Rose Cafe, it probably means that The Wine House has bought up the entire vintage. 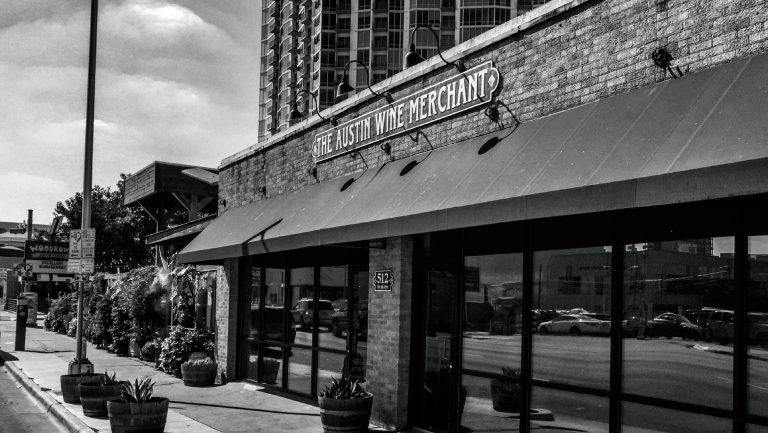 Besides its retail business, The Wine House space also includes a restaurant and catering business, on the second floor. Part of the second floor is also dedicated to classes and special tastings, with wine education programs, such as the Wine & Spirit Education Trust and the North American Sommelier Association, holding classes there. Cristie Norman, a sommelier at Spago, in Beverly Hills, also completed her WSET advanced course at The Wine House. “It’s my favorite shop in the city,” she says. 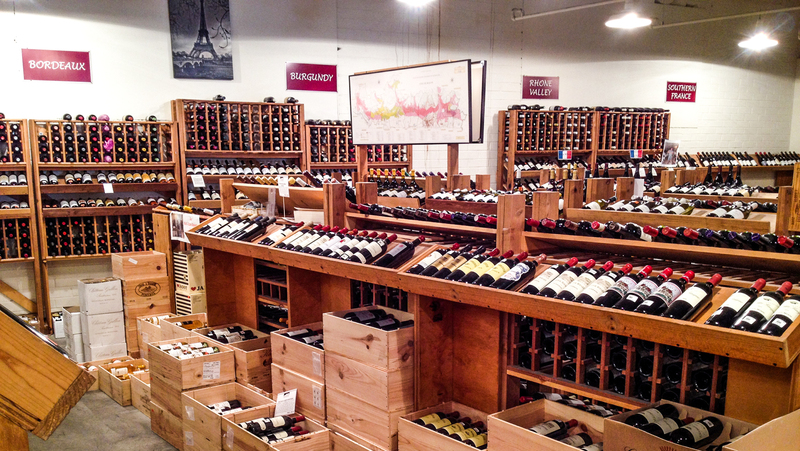 The store’s huge selection of wine and spirits often pulls her in, along with the tastings and classes. Her boss, Phillip Dunn, the director of wine and spirits at Spago, agrees. “It’s not pretentious, and the staff is knowledgeable and caring,” he says. He points out that their bourbon and whiskey selections are also top-notch. The Wine House opened its restaurant and catering facility just over a decade ago. Upstairs 2 is a New American–style restaurant offering tapas and small plates, with a focus on seasonal and sustainable ingredients. The restaurant features an extensive by-the-glass program, as well as a friendly BYOB policy, with a mere $15 corkage fee. Besides the restaurant, catering services are available seven days a week. So although the restaurant is open just four days a week (Wednesday through Saturday), the space is in use daily. Shelf talker within the Wine House. Photo courtesy of The Wine House. Keeping employees happy is an additional key to The Wine House’s success. Today, between 25 and 30 people are employed there—cashiers, stock personnel, sales associates, and others. Montalto has been at The Wine House for more than 18 years; he took a sales associate position after college graduation and worked his way up to the buyer position he holds today. What motivates him to continue working at The Wine House? “The customers,” he says. “Honestly. People have questions, I have answers. I love talking and helping.” He explains that the rise of the Internet has disrupted many retail operations but that thanks to its array of services, The Wine House is always bustling. 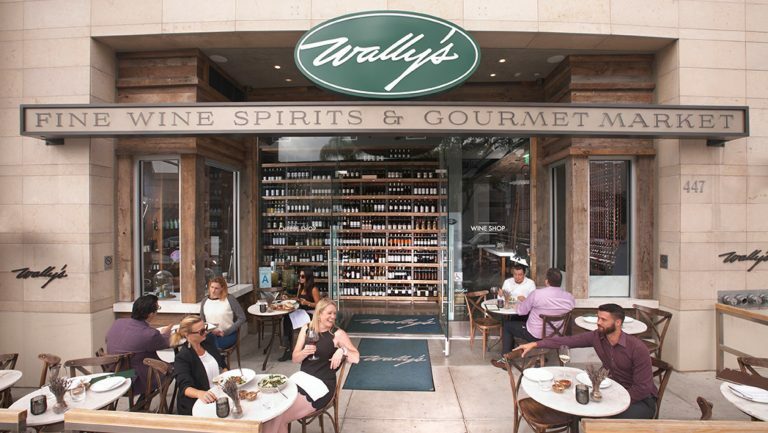 The Wine House sees millennial customers as a potential growth target. “We’re always looking for new clients,” Jim Knight says. “But we could do a better job reaching out to the 20-somethings and early-30-somethings.” Montalto echoes this point, reiterating how important it is to get young customers in the door. “Young customers will transition up as they get older and make more money—and if not, we still thank you,” he says. “If you buy cases of $10 bottles—awesome, thank you, we’ll take it.” The store is looking at ways to reach this audience, such as advertising near universities like UCLA and hiring a PR firm for consumer activations. For Jim Knight, staying ahead of the game is a persistent challenge, especially with the number of new wine shops continually popping up throughout the L.A. area. But The Wine House’s mission has remained unchanged since 1973. It aims to provide great selection, competitive prices, and unparalleled service. 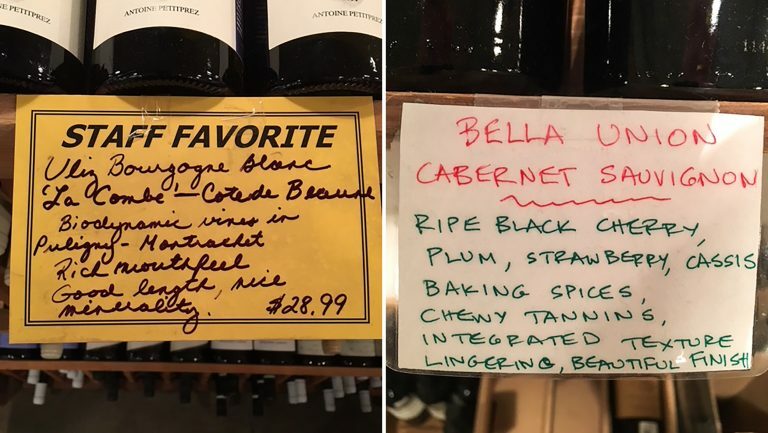 The store bills itself as “The only wine shop you need.” And for many customers—trade and consumer alike—that message rings true. 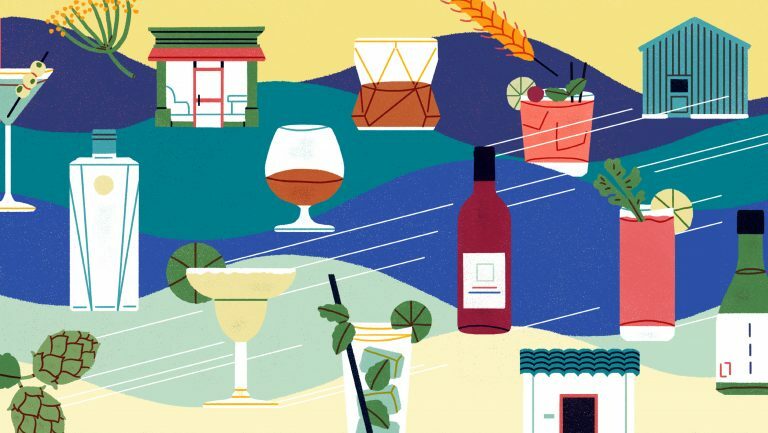 From schooling to sipping, cooking to catering, The Wine House has become, and will most likely remain, L.A.’s one-stop shop for food, beverage, and educational needs.